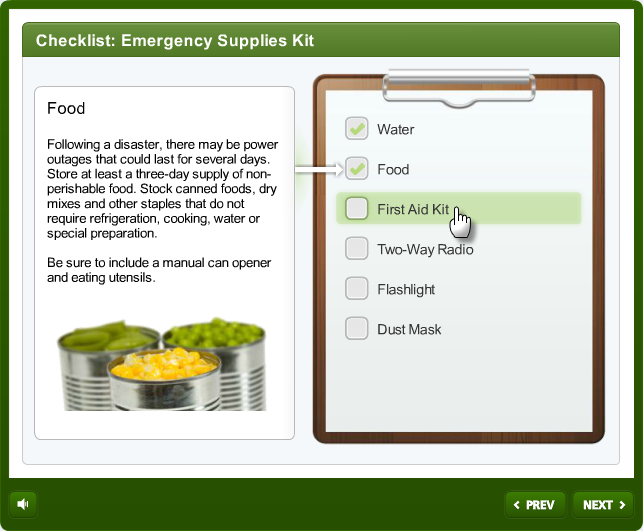 Steps: Located on the left side of the screen, this panel is used to manage items for the Checklist. 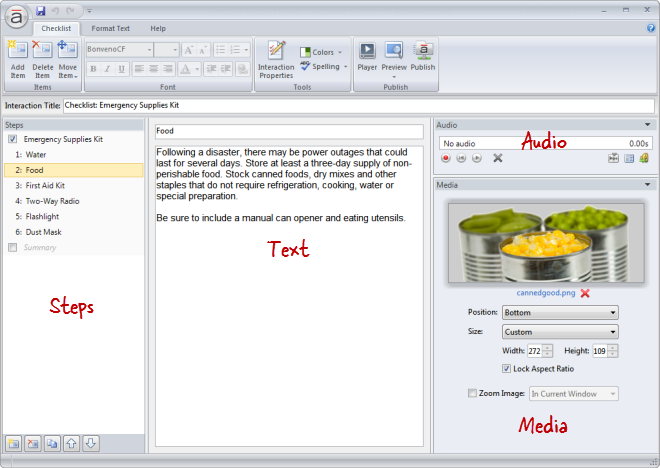 Text: Located in the middle of the screen, this panel is used to add text to each item. Go to the Checklist tab on the ribbon, and click Add Item. New items get added just below the item that's currently selected in the Steps panel—unless the summary is selected, in which case new items get added above it. Tip: A Checklist interaction can have up to eight items (not counting the introduction and summary). 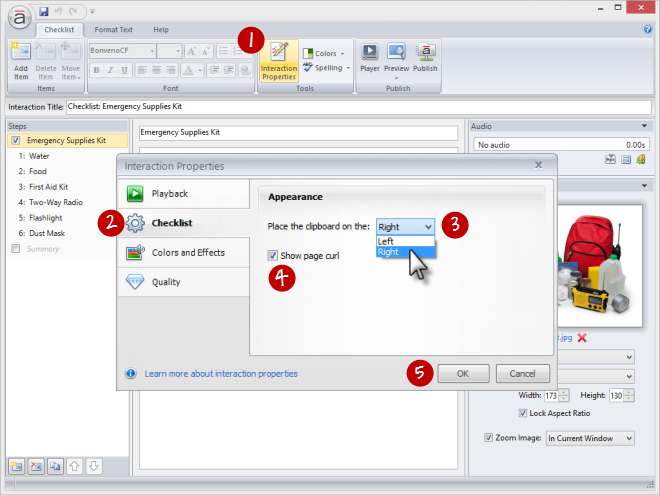 Double-click the item in the Steps panel to open it for editing. Enter the new name, and press the Enter key. 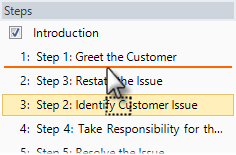 Select the item in the Steps panel, and type the new name in the title field at the top of the text panel. 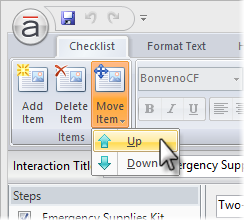 Go to the Checklist tab on the ribbon, click Move Item, and select either Up or Down. 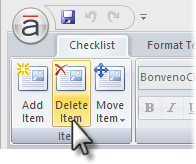 Go to the Checklist tab on the ribbon, and click Delete Item. 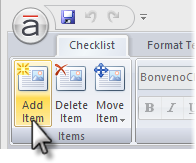 Go to the Checklist tab on the ribbon, and click Interaction Properties. Select the Checklist tab on the left side of the window. Choose Left or Right from the drop-down on the right side of the window. Mark the Show page curl box to give the lower right corner of the clipboard a page curl effect. Uncheck it if the curl interferes with your list of items.